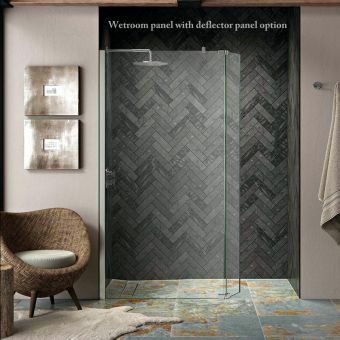 Creating a stunning centrepiece in any bathroom, a wetroom is still a relatively new concept and although some people may be put off by the thought of installing one, Roman has made it simple with their Decem Wetroom package and their award-winning, off-the-shelf, Roman Shield Wetroom tanking kit. 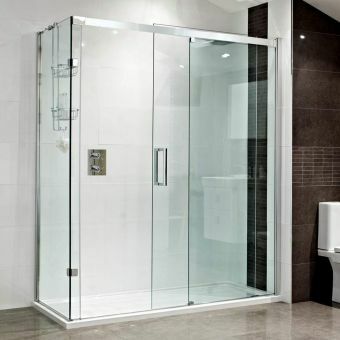 No matter how small your bathroom is, even the most challenging of areas can be transformed with this 10mm glass colossus. 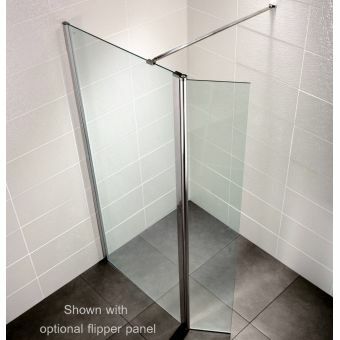 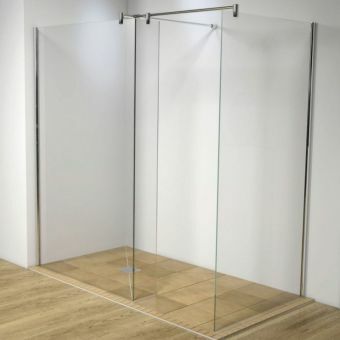 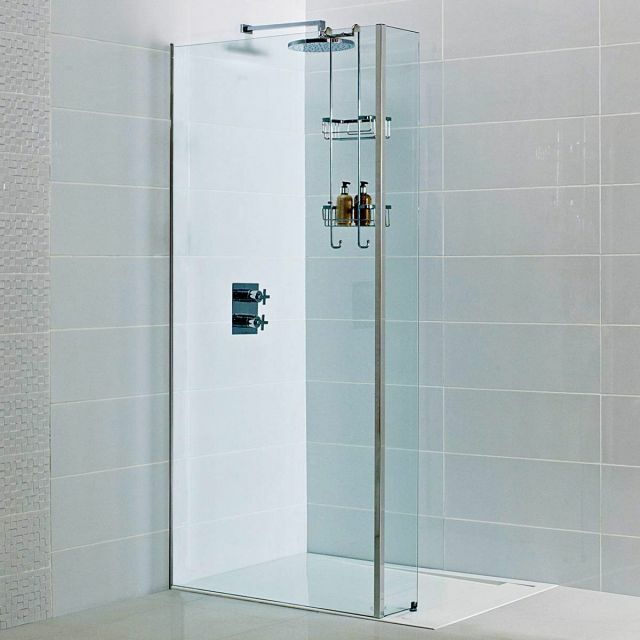 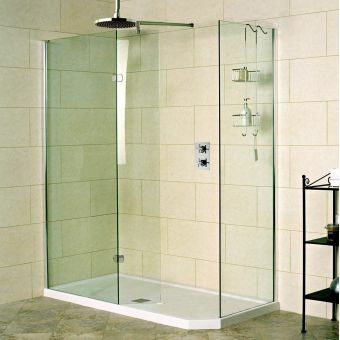 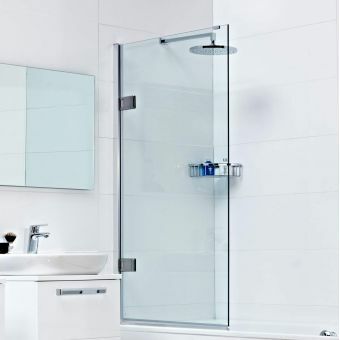 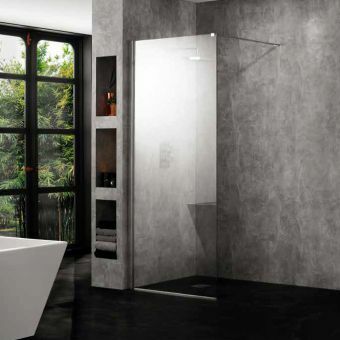 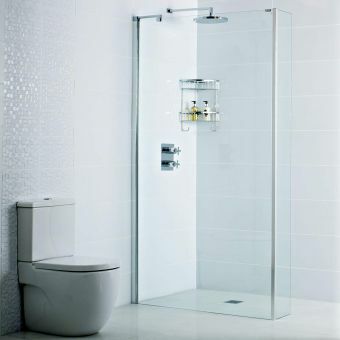 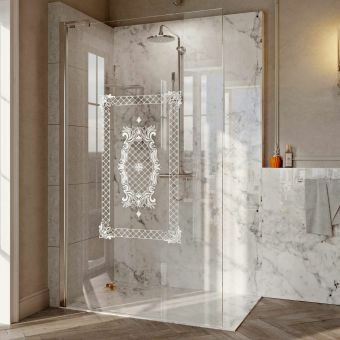 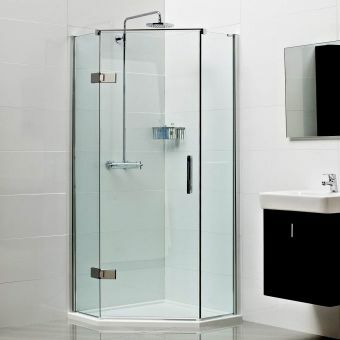 Aiming squarely at the minimalist market, this contemporary masterpiece features everything you need such as an almost invisible wall fixing along with optional water deflector panels, perfect for keeping water in the shower and not on the bathroom floor. Standing tall at 2000mm, a separate bracing bar is recommended for widths over 900mm and this can be added to your order along with the return panel. 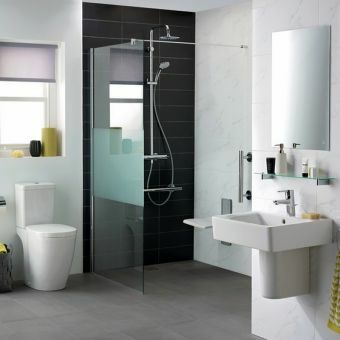 Its reversible design allows it to fit straight to the floor or onto a suitable low profile tray, either way, you'll be the envy of anyone lucky enough to step foot into your newly refurbished bathroom.